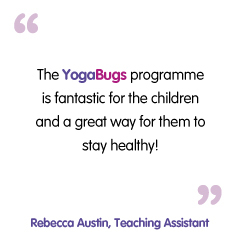 YogaBugs has many years of experience in delivering fun story-style classes to young children in nurseries and children’s centres. 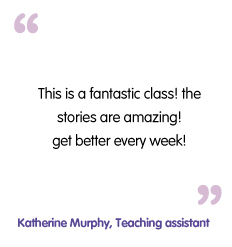 Our classes are a perfect way to enhance a child’s early learning and development through storytelling, action songs and moves inspired by yoga. 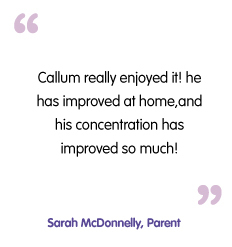 We offer classes for children who can walk up to 5 years. 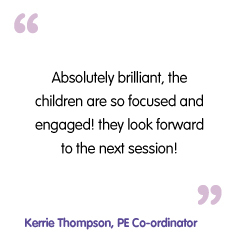 Our class plans are age appropriate and can be tailored to suit your nurseries focus on the curriculum. Through YogaBugs children learn valuable skills to help their confidence and self esteem. Children are encouraged to express themselves vocally and physically which helps them to gain independence. In a safe and familiar environment and amongst friends, children learn more easily. YogaBugs makes learning fun. Children are taught YogaBugs through story based themes that make them a part of the adventure, which helps make learning more of a fun and realistic experience.